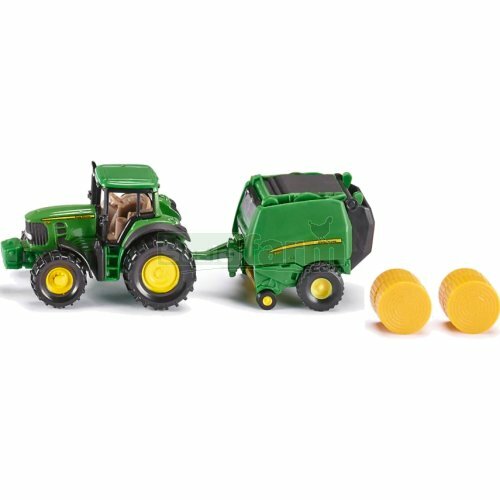 Miniature die cast John Deere 7530 tractor and 990 baler. Tractor cabin removes, rear flap on baler opens, rolling wheels with tyre tread design. Supplied with 2 round bales.